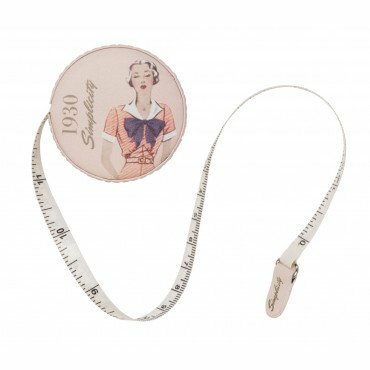 Authentic Simplicity vintage artwork makes this tape measure a sewing basket must have. It's covered in faux leather material and measures up to 60 inches. Size: 2.1" round.